"One of the best gateway"
Simple integration and lovely api. Awesome gem. They have all the required apis which any merchant requires. There was one rquirement i need from braintree. It was to fetch all transaction of a day. The version which we used i guess it was 2.0 or something, i needed to upgrade my gem version to 2.22.0 and used the api i wanted. It was a simple task and explored a lot about braintree. I completed the task in a day and was pushed to production the same day. It was an lovely experience. Would love to be a part of braintree and would love to contribute to this open sourced gem. There were NO reason i DISLIKED the gem. The gem is seriously awesome. Minimum failure rate. To be very frank, Indian payment gateways need a gateway like braintree, for easy integration and development. I hope braintree comes soon in india and make the gateway system bug free and customers happy. Waiting for braintree arrival in India. Braintree is simply the best. We should use it. Payments and single step checkout solved a lot of my problems. The transparent redirect was the best which i loved. We face issues were we go to the merchant panel and select our card / add card and then return back to merchant website. Braintree transparent redirect was the best thing which i have ever seen. It is fast and extremely user friendly. "Great rates for full features "
They don't have any monthly rates. I also frequently set up automatic subscriptions and there's no additional charge for that. I can securely store client credit cards for when they need to be billed again at a later date rather than having to make the client enter their credit card on an online page every time. This is inconvenient for my clients. I preferred Braintree before it was bought by Paypal. Once it became part of Paypal it seems to now follow all of Paypals structures and pricing. It doesn't have the monthly cost of Paypal's business options so I still think Braintree is the best out there. I'm disappointed that they took away the no fees for up to 50k of charges for the first year. This was such a selling point when I told others about Braintree. I LOVE braintree but I'd be less likely to recommend it now because it isn't intuitive for non-techy people who can find other options at similar rates. All of my credit card processing. They make it simple so I don't have to worry about the more difficult aspects of maintaining PCI compliance. "Best Security For Best Price"
Small businesses are targeted by fraudsters who have gotten hold of someone's credit card number. We have had an issue with this in the past and it cost us a lot of money with our old payment verification system. We found out the hard way that, although it was difficult to use, it lacked the necessary security, and fraudulent orders were not discovered until it was too late, and we were not covered when the charges were disputed. It is absolutely essential that you follow all of the sign-up procedures and read all documents. We did face a problem 90 days in where every single customer was refunded their money because of a missed step. We got the issue resolved, but it was a rough day. You will not be sorry if you use this program. It does not require any special skills, but is safe and secure. The few issues I have had (and you should always expect to have some issues with any program) were fixed immediately. We have seen a decrease in fraud attempts and chargeback claims. We recently had a customer tell us that they will be shopping with our company in the future because we are more secure than other online stores. The refund process is easy to use. We can accept more forms of payment. The whole process is user-friendly from start to finish. "Low fees, nice support and high security"
For me, the fees are lower than those with other providers like Stripe etc. It was a bit complicated to set up the risk/security bits on my profile, as I am just starting out and the questions were difficult to answer. But I just had to get really informed about this serious business of taking payments and then that was sorted too. The customer support was also helpful to get this sorted. "Ease of use is poor "
Processing payments in Braintree is pretty seamless when customers have previously saved their card information on our e-commerce website. That has been convenient for our customers so that they don't have to provide their card information each time we place orders for them over the phone. So, we love the vault and the ability to save credit card info when our customer's requests that we do so. The chargeback and fraud process in Braintree is quite confusing and the organization of the original transaction and dispute info is complicated. For example, when you click on the dispute id in a chargeback, the dispute info doesn't include the original order id#. So, you then have to go back, select the transaction id, then you are able to view the original order id#. It would be helpful if all order id #'s and applicable information from the original transaction was included in the dispute information. Not having all necessary information in one central location is frustrating. Overall, the organization of information isn't clear and the process is not particularly easy to do. Using the search function in Braintree is hit or miss- especially when the transaction is over 30 days old. For example, oftentimes we search by order id# in the search bar and are able to find the transaction we're looking for, but other times we search by order id# and nothing comes up. At that point, we have to use the advanced search feature, make sure the filter matches EXACTLY what we're searching for (contains, is not, etc.) and try to locate the transaction that way. It seems like there is either an issue with older transaction OR the search bar isn't "smart." Either way, the search bar doesn't seem to perform the way I assume it's supposed to. I would recommend spending time in a sandbox or demo of Braintree before opting to go this route. In theory the search bar is great, but in reality it doesn't work consistently and is pretty frustrating. The organization of information for specific transactions is also a headache. There are just too many id's (dispute, transaction, order id, reference#, case id). I understand that this info is important, but feel that the organization is confusing and unclear. Braintree's vault has been especially useful in that we do not have to ask our customer's to provide their card info each time they place an order. That is the only benefit that I've realized when comparing Braintree to other payment processors that we've used in the past. "Awful - after 160 (!) mails they still owe me a huge buch of money"
I'm a seller from EU, HUngary, got payments from all over the world. I've closed my EUR bank account, which was accepted by BT. First awful service: they continue accept payments at the payment gateway, transfer the cash, which were returned to them. But - and this is the disgusting part - they don't send a single mail about the refused payments. Later realized I missed the payments, so wrote to the support. Not a joke, talked to at least 5 people, all were incompetent, I just wanted to get money to my HUF account. Why they refused to transfer? They are not sure my HUF bank account could accept EUR transfers. In 2019, this is nonsense. I've asked my bank to send me a certificate my account could accept EUR. They wrote it. BT refused to accept it. So I reopened my original bank account, the EUR one. All details are the same, asked BT to transfer. Their excuse: on my bank statement there is the SWIFT number of my bank, but they need the BIC. Which are the same. Since October of 2018, since more than a half year I want to have my money. Please NEVER USE their "service"
Braintree is easy to search and allows you to easily find transactions you need to verify. Braintree is easy to use and allows you to track your accounts and manage subscriptions easily. Braintree can sometimes not give you all the information you are looking to find for an account. Braintree Recurring Billing can also be slow to use when you have a high volume of subscriptions that you are managing. I would recommend Braintree recurring billing if you have a simple subscription based product or program that you need to obtain payment for. Braintree is easy to use and customer service agents can easily use the software and use it to verify payments and accounts for customers. Braintree allows you to easily manage your subscriptions and obtain recurring payments from user accounts. The benefits of Braintree are that you can easily set up customer accounts and track billing for your customer subscriptions. Free virtual terminal, free gateway and well documented api. The discount rate is competitive comparing to stripe and squareup and other merchant accounts using payment gateway, such as authorize.net...and merchants can accept different types of credit cards, much better than authorize.net. Have to write api scripts to connect with shopping cart but it is easy. Other than that, nothing to not like it about. However, some large transaction requires manual approval by their risk department. It has many free features without nonsense fees, unlike regular merchant account but it is a regular merchant account. Save lots of fees on processing credit cards and customers can always find their payment receipts. "Using Braintree for Subscriptions and one-off payments"
Once it is set up, it has not given us almost any problem. Allows customization of most parameters:, offers drop-in forms (although we don't use them), and also custom ones. They do not provide API access to discount and plan creation, so we have to do it by hand on their web console. Read the documentation first: the documentation code snippets can be seen matching the SDK of the language you're using, so it's always easy to follow. Use the client libraries: we use the Ruby one and it works like a charm. For local testing you can use the sandbox, it has the same features as the production one, and you can use fake credit cards on it. For testing, we use the fake_braintree gem, but you can also mock the web calls, or record them with something like Ruby's VCR. We are charging our customers via a recurring subscription, with discounts and custom plans. We also sell gift cards of our services, charged via Braintree as one-off payments. 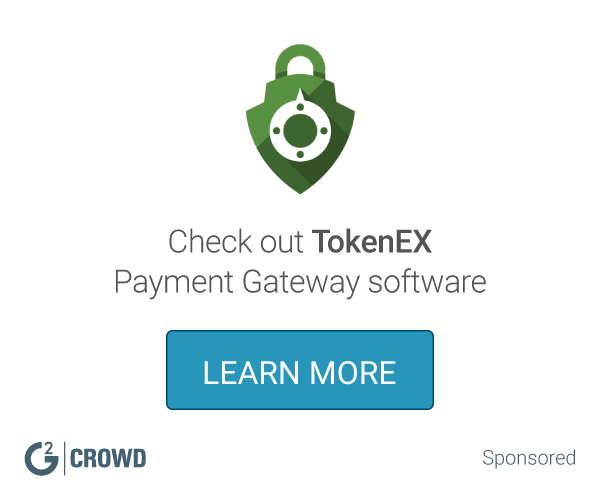 "Solid platform for all kinds of payments"
Supports so many payment methods. Easy documentation to follow. Multivendor and card hold capabilities. The admin panel is a bit funky. It should be much easier to view customers and transactions without having to go into the search. IE needs a better admin dashboard. Solid platform, give it a try if the current solution isn't working. Handling customer payments, doing subscription payments. Embedding within our software for clients to handle their payments. "Excellent payment gateway, super happy with it." I have been using Braintree for around 4 years now. The experience has been great. I have never had to spend too much time when integrating it on my projects. It fits super well with any Ruby stack. And their API is extremely well done. They also have a good customer support and the response is always super fast. When I found out that Braintree was being acquired by PayPal I got a little scare, by that time PayPal didn't have a good reputation and I already had 2 projects running on production, so I thought the price was going to rise. It didn't happened but I still think that it shouldn't happen. Braintree would be even better if they would have continued on their on. If you're planning to integrate Braintree into a Ruby on Rails project I would recommend you to extract all the logic into a separate module or lib. and use interfaces when charging and dealing with the common actions. This way you will be able to change to another provider if needed by only changing module or lib. I think I have used almost every feature of Braintree, from simple customer charge to recurring payments for Business with discounts. If you ever need to receive money no matter from, Braintree is the way to go with. "Simple Payments for Web Applications"
I would like to see the pricing come down just a little, especially with startups. Great product and I know there are others in the space like Stripe. Braintree has all the great features and simple Paypal integration. It provided us an easy payments processor. "One of the best payment integrations out there"
I found braintree by accident and immediately understood how powerful this idea is and how much I could benefit from using it. Their documentation is great for developers and they had clients for every single application I had on my belt. During the sandbox tests the api and interaction was clean and reliable too. Now every time I have to think about a payment option this guys are on the top of my list. The website doesn't provide a lot of information on how to use it, videos or interactive widgets that let me know how this really work so you have to navigate a lot to get an idea of what to expect. The sandbox mitigate this a little but as it requires registration I would love to be able to test the product using a public sandbox that doesn't require me to join in order to know if you're the right decision for us. Software development, from time to time I am required to integrate online payments in my products and anybody who has done it before know how strict it can become, so it's really nice to be able to outsource it and be protected. "Solid payment gateway, probably still the best in term of international availability"
I've had the chance to use braintree for the last 3 years. The initial reason we went with braintree was for its international coverage, and its reasonable price. I think it's still one of the best today along with stripe. We had some hiccups at the beginning but I have to say that overtime the level of service got better. - Braintree doesn't offer any official Go client, so when we moved our stack from Java to Go we had to fork an unofficial library (done by an engineer working for braintree though ...) which was a bit scary at the beginning, but it works. - Nothing really provided to detect efficiently fraud. I guess the choice today is between braintree and stripe. Stripe seems to have a very nice API and cover pretty much all the language with official libraries (including Go). But again, I think in terms of coverage, braintree is still number 1 as of today. We are a global player in the on-demand service - we wanted a solution that would help us scale globally and save us integration time. Today we are charging customer in Europe, USA and Asia, all through braintree, so It definitely helped us go faster. "Finally a payment gateway targeted at developers"
Having implemented several PayPal integrations in the past, working with Braintree was an incredible breath of fresh air. Finally a payment gateway that cares about developers and shows it in their API design and documentation. Fairly high barrier of entry. The signup process was rather long, and the account validation took a while. There are probably only two good options you'll want to consider when choosing a payment gateway: Stripe or Braintree. I think the Stripe on boarding process is a bit easier, and their product seems to be moving a little bit faster. Braintree provides very nice integration options and a very nice API though. Mobile payments are a breeze to integrate and Apple-Pay support is very welcome. The management interface is well-built with good search features and mostly fulfilled our requirements. Finally their support is outstanding. Critical issues were attended to immediately and less-urgent matters usually within one business day. We were looking for a payment gateway that allowed us to easily deal with PCI requirements and provides good integration options. Braintree allowed us to get credit card processing up and running really quickly and without any of the typical frustrations. The free transactions fees for 50k was defiantly a carrot for signing up to Braintree Marketplace to help our startup get going. We decided on Braintree not only on the bonus, but it's backed by Paypal and has good reviews. We have just integrated the marketplace API into our platform, that includes taking credit card payments from buyers which go to escrow then the ability for admin to either refund the buyers or issue successful payment to farmers. It has taken our developer approx 80 hrs to integrate the whole Braintree marketplace which was mostly work on app to figure out the logic. Braintree has fantastic support, being a non-technical founder they can explain it super simple for me and you can deal the support know their stuff when they talk to our developers. 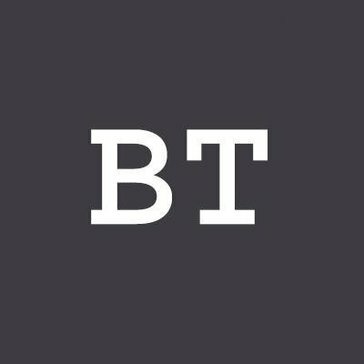 I believe if Braintree put together a list of qualified BT marketplace developers that are experts in the API integration that could actually do the whole integration process from start to finish. Our Developers could learn from an expert in this particular field. That would have allowed us to release our product quicker on the market and I'm sure this would benefit the braintree business in more transaction($$$). With our old WordPress platform, we took in payments with stripe, PayPal and Dwolla. This got really messing chasing payments that came into our account then issue one payment to the farmer. On our new platform we wanted to automate and clean up the process by having payment come in one way, funds sitting in escrow(not our bank account) and issue successful payments or refunds without the fees associated with reversals. Braintree makes it simple for us as a platform to take our commission fees and charges. Braintree's customer service is staffed by real people who will address problems with your checkout form in under a day. I expected to be panhandled and neglected as I was with Stripe, but they shocked me by replying to concerns with hand-written messages and would contact me first about potential issues (like a lack of a refund policy) before it became a problem. Braintree's Interface is a bit weird and hard to get used to, especially if coming from the sleek Stripe interface. It lacks immediate, obvious details like when your next payout is and how much it will be. I was using the Laravel framework and its default implementation of the Stripe API. The Braintree API is not a direct replacement, but it does follow the footsteps of Stripe pretty well and the same kind of business logic and unit testing can probably work on both. Braintree does not have as wide spread adaptation as Stripe, so you will be writing code yourself and not using 3rd party libraries. Be prepared for that. Their setup process is no more complicated than competitors, and they do not take any transaction fees for the first $50,000 USD that you process. This is an extraordinary help for a small entity collecting anonymous donations, as I get to keep the 5% that Stripe was amputating. "Braintree offers the best features and rates to European application developers." We were able to integrate with Braintree in just two weeks, including the time it took for us to get approved. The whole approval process was smooth and the support team were very helpful. The best feature for us developers is their clean API and Java SDK. Also the documentation is easy to navigate - something often neglected by other providers. The approval process is not as quick as we imagined. There are at least 5 documents required including a copy of your ID or passport. Some might think this is too much but we think it's good for security. If you are a busy developer from Europe that's looking for a payment processor with a clean API, you should consider Braintree! They have SDKs for all major programming languages and the tech support is awesome. You'll be able to integrate with them in a matter of weeks and start processing payments withing a month. The documentation is top-notch and easy to navigate and the online management console is very usable and well designed. They also have 2 factor auth. We're providing a service directly to fellow software developers and we absolutely had to have an online payment system in place. We are in the SaaS business and as such we only operate online. Braintree allows us to be very flexible with our pricing plans and invoice management. We are also planning to implement subscription management in the near future. "Quick implementation but awful customer care"
"Great comprehensive payments platform for web and mobile"
Easy to use APIs for JS on the browser and Node on the server. Awesome "Drop-in UI" and "Hosted Fields" options for creating a slick, PCI compliant payments interface on web apps, saving us tons of time building the payments experience for our users. Admin dashboard is pleasant with fine grained search tools. Documentation is inconsistent in a few places and written with lots of implicit knowledge about Braintree's various object models. Documentation design is very vertical, so it's hard to navigate between sections and view code examples since everything is inline on the page. Braintree is our sole payments platform for our apps. Our users enter their billing information on our apps using Braintree, and we process all charges and refunds on Braintree. "Easy to use as long as provided client SDKs are used"
The comprehensive documentation for various languages and platforms. Jargon and technical terms are introduced at the right time and the documentation takes care of making the "charge the user with a transaction" very easy. The sandbox environment takes sandbox-only use cases into account (e.g. "Flush sandbox data"). I couldn't find any documentation on the HTTP API, which makes it difficult to work with incomplete third-party packages for platforms that don't have an officially supported client. Using Braintree with one of the officially supported client SDKs probably makes integration much easier than relying on third-party code. At the time of writing there was no SDK for Go, so we had to rely on a third-party package to interface with Braintree. Actually charging customers for using the services provided by the business. "Easy API, Nice backoffice, good overall experience"
The api is simple to implement, they offer integration examples and libraries for several programming languages. The first 50.000€ earned through Braintree are commission free. Also, the backoffice is nicer then many other competitors. Another interesting thing is the js library that greatly simplify PCI compliance. Documentation is a bit scattered, and sometimes outdated. The module for Magento was buggy and outdated. Voiding payments takes a lot more then expected. If you have a classic e-commerce website use the v.zero SDK. Is easy and fast to implement, and it's also secure. "Decent payment gateway with reliable service"
Braintree was fairly easy to integrate with. We have two applications written in two different languages which interact with Braintree and the integration process was straightforward. We have a few different currencies we are able to process and getting them working in our systems was not difficult. Overall the service is fairly reliable with the occasional outage usually caused by downstream processor networking issues. While the integration aspect was relatively simple, setting up the banking and processing for foreign currencies (non-USD for us) is fairly complex. As a result the response times from Braintree can sometimes be slower than desired depending on the backend processor. We are using braintree as a payment gateway in an ecommerce platform for processing and management payments for products sold through our stores. "Extremely Satisfied User of Braintree "
* No one responding from BT end for SO Questions, Forums or any other developer posting queries on public portals. It will REALLY help for our Business Growth , Easy and Reliable Way to manage Payments. nothing really. They were recommended to us by our investor, but I wish we went with another payment processor. Offered us individual pricing and promised it would take our costs down, in fact that increased our costs by 30%. When we reduced the amount of payments processed through them, they deactivated API without warning. We lost thousands of dollars before we could figure out where the bug was coming from. Never use Braintree. "Braintree is a pleasure to integrate and use"
Braintree has a very simple API, great revenue management tools, and an extremely helpful customer support team. Was a pleasure working with them. I'll preface this part by saying that I integrated with them in late 2010 - early 2011, and at that time, their python API was a little bit difficult to use. It took a little bit of learning, but made sense once I got up to speed. Definitely check it out. I think it's one of the best options out there right now. Very easy to integrate, lots of great libraries for common languages (python, ruby, etc), and extremely reliable. Definitely give it a serious look! I was building out an ecommerce website for a consulting engagement. Back then, this was the absolute best way to integrate payments with an e-commerce site. The benefit is clear - the ability to charge customers money, easily, with a reputable company, online. "Fine SDK to integrate payment gateway"
As I am an iOS developer and in my one of iOS application I had to integrate payment gateway to enable payment process. I have gone through several internet links and suggestion and come to know braintree is one of the coolest platform than can help me in getting what I was looking for. Yes, It did help me and I had integrated it with a lot ease. I had to add few lines of code. And all that happened because of your developer team build this product in very robust and understandable way. Even a very beginner can integrate it without any senior developer supervision. I would give at least 9 marks out 10. I would like to congrats you all and lot of wishes for your success ahead !!!! How ever braintree iOS sdk also having some drawback along with the advantages. 1. Access to UI customisation require: I had customise UI provided by braintree iOS SDK, wasn't able to customise its interface like bottom header background colour, title colour etc. 2. Can't use this SDK for bid campaigning like "pay auction fee". As I had integrated this library to allow payment process that was the essential feature of our iOS application. 2.Easy payment dashboard that helps ur keep track on transaction!!! "Great product and service; would have liked better language support"
I really like the documentation for iOS and the ease with which Braintree can be integrated into an existing iOS solution. The pricing for the first $50k of no-comission is also fantastic. I wish there was a micropayments option that allowed us to process small payments without a flat fee per charge (this takes a huge bite out of our commissions and has led us to consider competitors). The support for Go (the language most of our server infrastructure is built in) is quite limited and currently community supported. Braintree is fantastic if you are working with technologies that they have adequate documentation for. If you are working in a non-supported language, make sure the bindings that are available for your language are well-supported or you are up to the task of writing your own. Their $50k-no-comission is fantastic and basically unparalleled in this market. We are mostly working with a market that requires a quick, easy, straightforward payment solution that we can integrate with a slick UI - braintree makes that happen. "Excellent payment dispersal and transaction fee tools"
As someone running services that take payments for account-holder, the features that Braintree provides with sub-accounts to a main account, and the ability to place a transaction fee that goes to the main account on transaction undertaken by the sub-accounts is killer! There aren't any features of braintree that I dislike. There documentation is excellent. Their provided libraries and third-party support are great. If anything, I don't like the aesthetic of their v.zero marketing, but that is irrelevant! You might check out other services such as Stripe.com or Recurly if you're looking for a simple recurring billing solution. Braintree Payments is so much more! As I mentioned in the "What I like best" section, the ability to place my own transaction percentage fees on transactions undertaken by sub-accounts is something I hadn't run into elsewhere and which made offering some of the donation/contribution services via the Braintree Payments system, worthwhile. "Braintree for Android and the web"
The first thing we liked from Braintree as a small team of developers is the fact that it is available for all the platforms, with the exception of Windows Phone, which would instead make use of the web version. Another very important feature is the ease of use for the users: as we target a very specific type of final customers (such as elder people who are getting started with smartphones), having a very simple way to make the payment is a killer feature. A part of the process we couldn't really help was the case in which the users never heard of Braintree or PayPal: as of today, we had the very hard issue of letting the management itself understand the power of having a SDK as the one provided by the guys at PayPal, as they thought that elder users would have been much more comfortable with something provided by a well-known Italian bank. Just use it! :-) It is surely worth the effort! Our main problem was to find a unified solution for accepting payments on 4 different platforms and all the browsers available on the market: at first, we wanted to use PayPal only for the web site and make use of the different in-app purchase and subscription SDK available on all the platforms but then we realised that a common SDK such as Braintree's would give our management an easier way to gather all the info. Unfortunately, for the kind of issue we were trying to solve, we also needed to use in-app purchases from Google and Apple, but we try and highlight the Braintree's solution in order to have an easier way for all the users to pay the monthly subscription to our product. "Overall reliable, if a little clunky and platform limited"
There is a lot of customization available at various levels. Little things like rejecting duplicate transactions that come through within a short period of time, and letting subscriptions have the actual amount of the payment be changed. The interface allows you to find everything you need, including looking inside the vaulted data. Finally, the reliability of the service has been great - I'm not sure if we've ever had significant downtime. The single biggest problem is that Braintree refuses to provide an actual HTTP api, which makes it a complete non-starter with any language that they don't provide official APIs for (we have plenty of client projects with this problem). The justification that they give for this is absurd to the point of seeming incompetence - they say that since some people could write client libraries with insecure defaults, they don't want to allow client libraries to be written. How they justify this in light of their competitors (like Stripe) and indeed their now parent company (Paypal) providing open APIs, I'm not sure. The other issue is that the interface (and apis) are in general somewhat clunky. Searching for transactions is often hard, as there is no unified search (so sometimes you search in one place, other times you have to search in other places). The result of this is that we (the software contractors) end up having to track down transactions for our clients where this would be unneeded if the search were better. It has caused several false alarms, where they think that transactions that customers are complaining about are not recorded in the gateway. I would seriously look at competitors (like Stripe). The main upside is that if you want to support Paypal in addition to credit card payments, then Braintree is probably the best option, and if you need some of the platform flexibility, it might make sense, but in general, the whole platform is more clumsy, and if you aren't using their supported languages, you can't use it at all. Online bookstore platform. The payments go through, and have all the flexibility that we need. "Braintree has scammed me and was responsible for a bad partnership between my partner and I"
Their payment gateway was fairly simple, and the customer side support was pretty tolerable. Their head of risk department had shown some decent support until I've brought up extremely serious issues. They all have gone radio silent since then. Braintree payments has promised the company I was part of to have the merchant account funds released. They have held the funds for over 4-5 months now. Bobby Nickrent at Braintree has managed to manipulate my ex-partner and their whole company has decided to abort contact with me. I have made several unsuccessful attempts to speak with their team, yet every single request has been ignored. Conveniently they have also taken advantage of the situation between myself and my ex-partner. They still hold thousands of dollars as of this very moment, despite the customer's product has already been delivered months ago. Beware working with a company like this. I also have evidence to show that Braintree, and more specifically Bobby Nickrent has been compromising merchant's data, toying with it for his own benefit. Stay away from this company! They have robbed the business I've set up. Bobby Nickrent from Braintree is notoriously known for shutting down merchant accounts for no valid reasons. He should apply for Guinness records to measure the amount of incompetence he has, but that's just the tip of the iceberg. There's only one thing that can compete with his incompetence - that is his ego-filled personality. Ironically, this merchant-sucking-vampire isn't the brightest candle in the room. His historically shady past has always been overlooked by Braintree's team. I have personally tried to voice my opinion over, to which Braintree decided to not communicate with me anymore. Bobby Nickrent from Braintree Payments is a Scammer. He also violates several Merchant laws, as well as some Federal laws. Take a look at some of the attached screenshots from his personal Facebook profile. I have complained about his Facebook posts to their head of Risk team. Guess what the solution was? They simply decided to not communicate with me anymore. Isn't that comical? Predictably, the Facebook posts have also disappeared now. This proves the point that they have taken a look at my complaint, simply tried to cover their ***, and decided to not communicate with me anymore. If you're working with Braintree, your data is at a HUGE RISK! Braintree has not taken any action against this, instead decided to cut contact with me. As a merchant, would you like to have your business disclosed to some random blokes on Facebook? The fate of your business is determine by who you run into over the phone. While others have been professional, the same can't be attested about a few others. "Used 2 years back, overall good experience at that time developer guide was not very detailed"
During integration we needed to do some customisations on our side and we were looking for the details related APi but did not get it quickly in guide. It must be improved now. It is a good payment gateway, so while anyone is deciding to use payment gateway and evaluation it they should also evaluate Braintree it might fit in your needs. However as there are many payment gateways out there but as per the business need, transaction charges and User experience everyone decides which one to use. We were working on a Mobile service provider project where subscribers were charged based on the top-up and plan and we were handling payment via Braintree. It's simple, well organized, and makes sense. There are so many traceable ways to find and figure information, and the program gives you multiple entry points. It can be hard to navigate for that same reason. Tracing information down might be hard if you don't have enough on your end, but it does make that more accurate. Something very important when dealing with money and payment processing. I can only compare Braintree as a payment processor to Stripe, and it's head and heels better than their platform. Mainly, it's utilized for charges, refunds, and setting new payment users. The braintree painel is very easy to use and intuitive. Also have a good documentacion and alot of examples in of code in a bunch of languages. And for end they have a very good support. The gateway approval method is time consuming and a bit boring. Unfortunately it is the same in all payment gateways. It did not solve any problem as they were not approved. But the various gateways that we integrate this was one of the best, and better documentation and support. "Paypal and Braintree are a mess together"
The easy integration with bigcommerce shopping cart software. The support at braintree is terrible as they just refer you to paypal, who in turn refer you back to braintree. It is simply a chaotic mess at this company and it is the customer who suffers. Go with another merchant account provider if you can. The biggest problem is the deal between paypal, braintree, and bigcommerce. If you have an ecommerce store hosted by bigcommerce and you have any type of service issue, you are entering a black whole of customer service representatives in which nobody is accountable. I ended up having to just find another merchant account after dealing with this mess. "Best Customer Service of Any Company, Ever"
Customer support is incredible. You call, an engineer answers. No wait. Its unheard of. Nothing makes me hate or love a company more than competent customer service. This is why I despise Comcast. Ruby testing support is grim. Fake Braintree is no longer maintained by ThoughtBot and is missing a ton of key features having to do with recurring billing. I tried extending the library myself but it is beyond my abilities and time. If you're using Ruby, and are building a subscription based app, and are really concerned with testing your app, I might consider stripe because Fake Braintree is lacking a whole slew of featurres. ...accepting money in my app/website on a monthly/subscription basis. "Frequent User of Braintree at Prezi!" The interface is clean and allows me to quickly find the end user who is looking for a transaction from purchasing online. It helps keep track of all of our customers to effectively know who has been paying for what license. It is difficult to navigate when you are looking at a customer profile. It is hard to refund the customer and ensure the subscription has been cancelled because you have to go to multiple pages to ensure the client does not get another charge to their card on file the next year. It helps us track our online purchases and subscriptions of clients who go through our online flow of getting Prezi. The benefits are that it is simple to re-issue the refunds but there are many pages when going to a clients profile. It would be nice to have everything on the client on one-page and be able to manage their subscription and card on file instead of multiple pages. "Braintree - API and Reporting"
Braintree payments enhances our integration both to our website and to NetSuite. We've employed the Celigo integrator to design a custom flow. We settle all our credit card payments through Braintree in the US and UK. "Terrible right from the start, decided to use Stripe instead." I liked the idea of being able to accept Paypal as a checkout option, without Paypal Braintree was just another Stripe, but with Paypal they are so restrictive they are impossible to use. Use Stripe unless you absolutely have to have Paypal and are willing to pay dearly for it. I am not sure what you mean by this? "Seamless integration with very informative, useful documentation"
Easy native iOS & Android integration for things Apple Pay & Android Pay while still making it easy to accept regular cards. Installation was pretty straightforward, and processing payments was a breeze -- I used PHP for that part. The Java and Obj-C SDKs do most of the heavy lifting for the native portions, which is great. Most of all, the sandbox environment along with great technical documentation makes Braintree a pleasure to use compared to some of the alternatives. Their support and documentation for various programming languages is also really great. Braintree's enterprise information & strategy could be a bit better disclosed. For example, their site only goes into details about their "make 50k keep 50k" plan for developers who integrate directly with Braintree. However, for someone like me who integrates with enterprise clients who would integrate with Braintree, it would be nice to have a little more info. Something like the make 50 keep 50 would be a great way to get enterprise clients interested, because they'd have a grace period to see how Braintree performs for their user base. Another example, searching "enterprise" on their FAQ yields no results. It looks like the only way to get more information is to contact someone, which usually turns into a sales pitch etc. Having information proactively available would make this barrier of entry a bit smaller. Compare Braintree with Stripe -- they're similar and worth evaluating against each other! Braintree allows us to easily integrate new technologies like Apple Pay and Android Pay very easily. This lets us solve the ever-growing demand for the latest & greatest features of native app development. We've seen benefits not only from people being interested in the features alone, but we've also seen higher conversion rates. "Braintree - my 2,9% + 30¢"
"Abysmal customer service and a terrible system for tracking total receipts"
Can be used with non-USA banks is the only reason to use Braintree. Customer service - we asked to take AmEx, they give us a dead tel no., and then ignore us when we ask for help. Stripe, if you're in the U.S. or anywhere Stripe does business with banks; we'd use Stripe if they did the Czech Republic. "Reliable and easy-to-use payment gateway"
As a developer, working with their API is frictionless. They have extensive documentation and provide client libraries for several of the most popular programming languages. Their service is extremely reliable and we've never experienced an issue with accepting payments from customers. They provide a nice, intuitive administrative dashboard with different permission roles for team members. I have yet to come across an issue while using their service. Nothing to complain about. It's is extremely difficult and costly to implement a custom payment solution for our company so using a reliable gateway has saved us a lot of time and effort. Easy integration with our website. We were able to replace our payment page payment section with Braintree payment and format to our brand. We had some issues with backend integration. PCI - we no longer have to have customer credit card data on our network. The simple and clear concept. The freedom and flexibility. Can easily organize the customers and transactions by a clear panel for marketing and CS team. The client SDKs is not good enough, both iOS and JS SDK contains critical UI bugs that need to be fixed by modification the source code. Most seriously, the SDK callback has been changed time by time without any notification! Both the backend and client side! Besides, the document is not clear enough for some custom behaviour. Fast payment and payment method organization. Conversion rate should be better than before. The interface is easy to use. I like the verifications section that allows you to see when and why a payment failed or declined. BT makes it super easy to run the payment again. The design is clean and uncluttered. Every once in awhile (and rarely) we seem to have some BT issues with payments not going through for seemingly no reason whatsoever. You try the card again immediately and it processes without any issue whatsoever. learn how to use the verifications feature. It's useful. repeat billing for a subscription service at different plan levels/memberships. "Missing some key features but otherwise a well-executed payment service"
The management portal is easy to use and offers a lot of functionality. It's easy to use and has allowed our CS team a lot of flexibility in dealing with customers. The lack of webhooks makes it a hard sell. We've had a bunch of situations where we needed to get a ping on a failed transaction on an asynchronous basis but the inability to do this has forced us to handle transactions synchronously. This has caused us some technical issues and as a result some customer service issues as well. It is very easy to use. They support almost all available payment methods including apple pay and android pay. The fee but it is in line with all the other payment gateways that are on the market today. I would recommend this product for your payment gateway needs. * We monitor all Braintree Direct reviews to prevent fraudulent reviews and keep review quality high. We do not post reviews by company employees or direct competitors. Validated reviews require the user to submit a screenshot of the product containing their user ID, in order to verify a user is an actual user of the product. Hi there! Are you looking to implement a solution like Braintree Direct?